Writers have an irrational hatred of “exposition” (long scenes where someone sits down and explains the plot). Supposedly, this is because the public hates it, but the fact is that we hate it even more than they do. 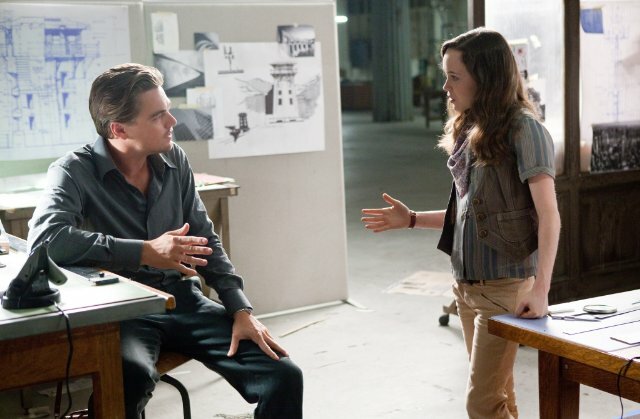 This is why the general public liked Inception a lot more than most screenwriters did. Listening to anyone explain the rules of the plot for that long sounds like fingernails on a chalkboard to us. Not only is exposition clunky, dull, and uninvolving, it’s just so… so… uncool. Cool writers are those who come up with elegant ways to elide exposition and still get the story across. Letting characters explain everything is admitting defeat. Don’t give the hero or the audience any information that they aren’t demanding to know. Information is a lot more interesting if it causes an emotional reaction in the person hearing it. As I was saying last week, every scene should reverse an expectation, and exposition scenes are not exempt. If you need a scene in which the hero hears a five minutes speech revealing the nuts and bolts of his grandfather’s corrupt business empire, then take some time first to roll that rock uphill before you release it: let the hero brag in a previous scene about how proud he is to know that our country was built by great philanthropists like his grandfather. Now, when he hears the ugly truth, we’ll identify with the turmoil it causes within him as each painful word lands. If the character cares, then we’ll care. Like rams I'm a fan of the bold straightforward exposition dumps by great directors. Two others that come to mind are the lecture/tour at the beginning of THE SHINING and the film and briefing in Tarkovsky's SOLARIS. Btw, Matt, you may have already read the posts on David Bordwell's blog about INCEPTION, but if you haven't they're worth a look. He argues fairly convincingly that exposition doesn't get in the way of story for INCEPTION because it _is_ the story in INCEPTION. Frankly, I feel that way about a lot of thrillers that are dear to me--ALL THE PRESIDENT'S MEN, PRIMER, TINKER TAILOR SOLDIER SPY--so it's nice that someone like Bordwell takes the time to dig into how this works. He's also got another blog entry from this year, I think, an excellent contrarian rant on that old screenwriting saw of Showing vs. Telling, where he comes out in support(conditionally) of the latter.